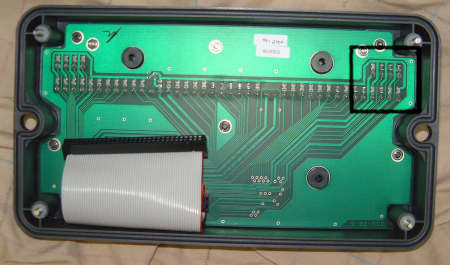 If the Mast Head Unit ( MHU ) had a close encounter during a thunderstorm repairing the MHU board may not necessarily be the end of the problem. 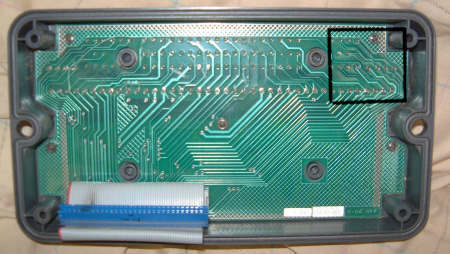 Inside Hydra Hercules processors is a circuit board attached directly to the back of the 48 screw terminals. Inside the newer front cases 16 volt capacitors can be easily seen attached to the terminal stems. When subject to Thor’s mischief these capacitors can turn into resistors causing inaccuracies in wind angle readings and sometimes missing or erratic wind speed. 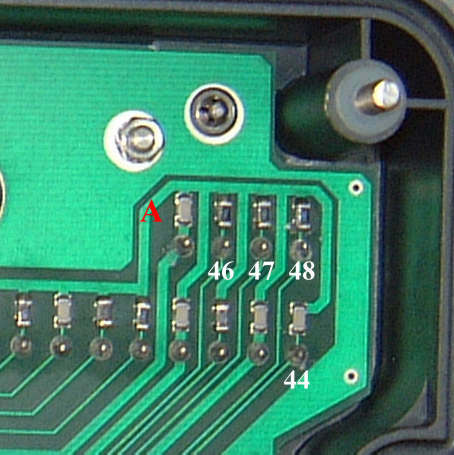 To check for this remove the 4 wires from terminals 44, 46, 47, 48, and pull the wind board from its multi pin plug. Be careful to get the whole plug and not just the ribbon retaining clip. Use a digital Ohms meter on its highest range setting and measure from the Ground track or pad A to the back of the terminals you just took the wires from. You might notice a moment of resistance reading, this is normal, but after 1 second you should read open circuit. If you read any resistance on any of the 4 pins you should get a new front case from M.E. In the event it is an emergency (when is it not?) a temporary fix is to remove the offending capacitor with a soldering iron or butane torch. If you have the older style front case it is not so obvious where to measure. 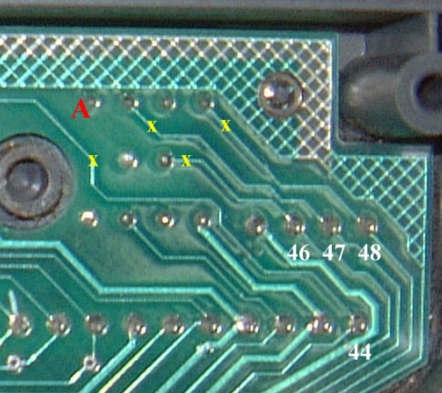 The capacitors are on the other side of the board but you can see the apparently unconnected pin of the ground side A to measure to the back of the terminal stems. If you see any long term resistance then your only option is to cut the track at the yellow x with a box knife. To put the system back to original spec. I will be happy to supply a new front case but for the mean time this fix should get you by. If you are still experiencing difficulties then the damage may have been more serious than you originally thought, and you might contemplate sending the wind board for M.E. workshop service. You also might want to pull the boat speed paddlewheel and give it a spin. The above advice has been provided as a free service. Any thing beyond this will require the use of a major credit card.